Inhabited since 250 B.C., Djenné became a market centre and an important link in the trans-Saharan gold trade. In the 15th and 16th centuries, it was one of the centres for the propagation of Islam. Its traditional houses, of which nearly 2,000 have survived, are built on hillocks (toguere) as protection from the seasonal floods. Habité depuis 250 av. J.-C., le site de Djenné s'est développé pour devenir un marché et une ville importante pour le commerce transsaharien de l'or. Aux XVe et XVIe siècles, la ville a été un foyer de diffusion de l'islam. Ses maisons traditionnelles, dont près de 2 000 ont été préservées, sont bâties sur des petites collines toguere et adaptées aux inondations saisonnières. تطوّر موقع جنة المأهول منذ العام 250 ق.م.، ليصبح سوقًا ومدينةً مهمَّيْن لتجارة الذهب عبر الصحراء. وفي القرنَيْن الخامس عشر والسادس عشر، كانت المدينة مركزًا لنشر الاسلام. وأُنشئت منازلها التقليديّة التي لم يتبقّ سوى ألفَيْن منها على تلالٍ صغيرةٍ تمّ تكييفها حتى تتصدّى للفياضانات الموسميّة. Обитаемый с 250 г. до н.э., Дженне был рыночным центром и важным звеном транссахарской золототорговли. В XV-XVI вв. город стал одним из мест, откуда распространялся ислам. В городе сохранилось около 2 тыс. традиционных жилищ, построенных на небольших холмиках – «тогуере» - для защиты от сезонных наводнений. Poblado desde el año 250 a.C., el sitio de Djenné llegó a ser un centro mercantil importante y un eslabón de la ruta transahariana del oro. En los siglos XV y XVI fue un foco de propagación del Islam. Sus viviendas tradicionales –de las que se conservan unas 2.000 aproximadamente– se construyeron en pequeños altozanos (toguere) para protegerlas contra las inundaciones estacionales. Djenné is vanaf 250 voor Christus bewoond. Het werd een marktcentrum en een belangrijke schakel in de trans-Sahara goudhandel. In de 15e en 16e eeuw was het een van de centra voor de verspreiding van de islam. De traditionele huizen – waarvan er bijna 2.000 intact zijn gebleven – zijn gebouwd op heuveltjes (toguère) als bescherming tegen de seizoensgebonden overstromingen. Opgravingen hebben bewoning van voor de 3e eeuw voor Christus blootgelegd en een stadsontwerp van circulaire en rechthoekige constructies. De oude stad is uniek vanwege haar archeologische, historische, religieuze en architectonische waarde. Djenné, chief town of the Djenné Circle, located 130 km south-west of Mopti (the regional capital) and roughly 570 km north-east of Bamako (the national capital), is one of the oldest towns of sub-Saharan Africa. The cultural property “Old Towns of Djenné” is a serial property comprising four archaeological sites, namely Djenné-Djeno, Hambarkétolo, Kaniana and Tonomba, along with the old fabric of the present town of Djenné covering an area of 48.5 ha and divided into ten districts. The property is an ensemble that over many years has symbolised the typical African city. It is also particularly representative of Islamic architecture in sub-Saharan Africa. The property is characterised by the intensive and remarkable use of earth specifically in its architecture. The outstanding mosque of great monumental and religious value is an outstanding example of this. The town is renowned for its civic constructions, with the distinctive style of verticality and buttresses as well as the elegant monumental houses with intricate facades. Excavations carried out in 1977, 1981, 1996 and 1997, revealed an extraordinary page of human history dating back to the 3rd century B.C. They have brought to light an archaeological ensemble which bears witness to a pre-Islamic urban structure with a wealth of circular or rectangular constructions in djenné ferey and numerous archaeological remains(funerary jars, pottery, millstones, grinders, metal scoria etc.). The property « Old Towns of Djenné » comprises the town of Djenné, characterised by a remarkable architecture and its urban fabric, of rare harmony, and four (4) archaeological sites bearing witness to a long-gone pre-Islamic civilization. The property « Old Towns of Djenné » still retains the values which justified its outstanding universal value at its inscription on the UNESCO World Heritage List. First and foremost, the archaeological, historic, religious and architectural values should be mentioned. Criterion (iii): Djenné-Djeno, along with Hambarketolo, Tonomba and Kaniana bears exceptional witness to the pre-Islamic civilizations on the inland Delta of the Niger. The discovery of many dwellings on the site of Djenné-Djeno (remains of traditional brick structures (djénné ferey), funerary jars) as well as a wealth of terra cotta artifacts and metal make this a major archaeological site for the study of the evolution of dwellings, industrial and craft techniques. Criterion (iv): The ancient fabric of Djenné is an outstanding example of an architectural group of buildings illustrating a significant historic period. Influenced by Moroccan architecture (1591), and later marked by the Toucouleur Empire in 1862, the architecture of Djenné is characterized by its verticality, its buttresses punctuating the facades of the two-storey houses whose entrances are always given special attention. The reconstruction of the Mosque (1906-1907) resulted in the creation of a monument representing local religious architecture. The vestiges of the four inscribed archaeological sites remain intact (pottery shards, funerary jars, remains of walls and circular or rectangular dwellings of traditional round mud bricks (djénné ferey), statuettes and mud bricks, metal scoria, millstones, grinders and Islamic burial grounds). The marshes where the small islands are located ensure a relative physical integrity. However, these inscribed archaeological sites are vulnerable to very serious threats such as leaching, erosion and gullying by inclement weather and uncontrolled urbanization. the disappearance of decorative features on the façades, characteristic of the earthen architecture of Djenné. The authenticity of the site, in particular the inscribed ancient fabric, is testified by the use of little-modified construction materials: earth is the overall privileged material. The transmission of construction techniques is entrusted to the Barey Corporation, stone masons from generation to generation. Finally, through spirit, wisdom, welcome and the Great Mosque, Djenné is and remains the “pious town”. The town of Djenné benefits from legal protection through national heritage listing of the property and the creation of a cultural mission for its conservation. The Great Mosque, the Koranic schools and the Tombs of the Saints benefit from customary protection through the establishment of a management committee for the Mosque, the association for Koranic schools and supervision by the village chief, its Council and district chiefs. The site possesses a “conservation and management plan” for a five (5)-year duration, 2008-2012, which has been prepared in cooperation with the communities following a participatory approach. Possible problems could occur with an increase in the population and building speculation. The boundaries of the protection zone are vague. An urban regulation which is under preparation could assist in defining the said boundaries and contribute towards sustainable development of the town and respect the heritage values. 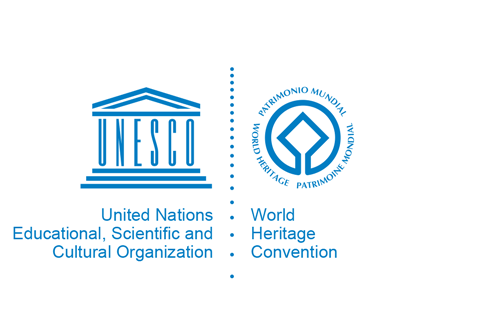 The Cultural Mission requires the provision of human and material resources to ensure the control of the property against looting and other threats to the cultural heritage.